From Saarthi to Spotlight 2, Karan Veer Grover has made a distinctive journey as an actor. Beginning his career with Gladrags’s manhunt contest, the talented actor is now debuting on the digital platform. Karan has definitely gained a lot of fan following since the release of the trailer of Vikram Bhatt’s ‘Spotlight 2’. It has become a talking point. In an interview to thestatesman.com, the actor shares all about his endeavors. What made you pick the career of an actor? I decided about it years ago when I was working for Omung Kumar’s event management company. When I got a call from Gladrags, during the preparation of the same, I decided that I wanted to be an actor. Thereafter, I started auditioning and got my first chance as a VJ with Zee Music and then I got my first television show on Star Plus. How did you land the role in Spotlight 2? Honestly, I do not take a conscious decision that ‘iss saal mai web karunga iss saal mai television karunga,’ I just go with the flow. I did not have any project last year. One fine day, I went for the launch of my friend’s (Shama Shikandar) series Maaya. There I met Vikram sir and we happened to talk. I expressed my desire to work with him and when he told he was making something like Spotlight 2, I said,”why not?”. So, there was no plan as such, I am just open to working as an actor on anything. Tell us about your character ‘Vicky’. The character is very intense, pretty damaged and has taken love, success, friends everything for granted. He is somebody who only values his money, fame, and power. Also, he is an extremely emotional and dependent character who cannot look after himself. So, these are certain basic qualities of the character. Despite being a great singer, Vicky doesn’t value the art. This is how he goes on his journey and gets carried away by the wrong things in life. Is there any difference between working on TV and Web? The primary difference is nothing. The only thing that makes web is the content creation, you can write and direct more freely. No pattern has to be followed. On the web you have the liberty, you can be unpretentious. There are certain rigid forms that we tend to follow on TV which is not applicable on the web. Viu India being a digital space has an international network, the format of thirteen episodes, making them crisp, sharp and intense that is what you need to follow. The web is not only platform catering to the young adult but everybody in an unpretentious manner. The reason for leaving the show ‘Baahu Humari Rajnikanth’? It’s a very simple answer. Since I was already engaged to shoot something else, it was pre-decided that I had to leave in October. It was one of the best shows I have ever done and I will never deny it has a wonderful team. I was already committed to shooting something else and everybody knew that and unfortunately, I had to leave the show that’s the only reason. It’s just the matter of timing nothing else. Share your experience of working with Vikram Bhatt. Vikram sir is ‘amazingly insightful’, that’s the word for him. He is so evolved as a maker and a human being that when you sit and talk to him about basic stuff about your character, anybody else’s character or even a scene you land up turning up something new each time. So it is an evolving and insightful experience. He makes you feel very free as an artist; that is an amazing part of working with him and his team in fact. They are just another Vikram Bhatt in making. 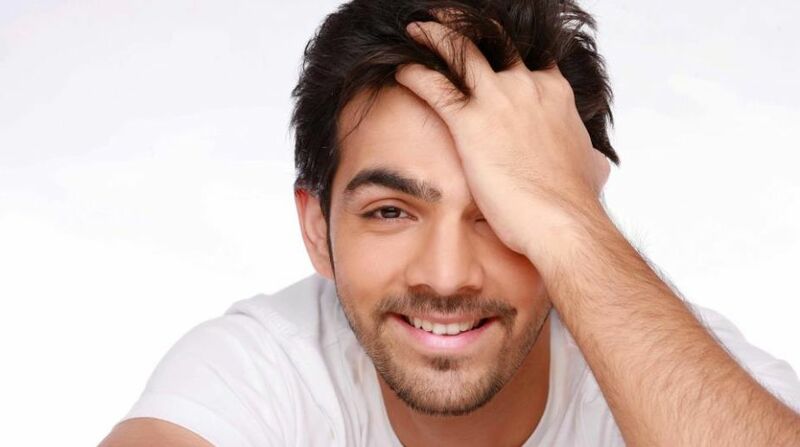 ‘Wedding Pullav’ was your last film, any upcoming Bollywood project? Don’t expect anything as such because I don’t have a film right now (laughs). I hope you see me in more films in future. Even I want to see myself on television, film, and web simultaneously, that would be so much fun. Characters you fancy to play? I definitely want to play a superhero, a clown (not a psychotic one) a cute funny clown. A spy, a psychotic killer, I want to play too many things I guess. Hobby: Watching shows on Viu, Netflix or Amazon. Of course, I am trying to develop a hobby of traveling. A habit that annoys you: Everyday I get annoyed by different things. But pretentious or superficial people pester me the most. Lifelong dream: I eventually want to make and act on my own projects. I get my inspiration from Raj Kapoor who could direct, produce and act.